Losing a limb isn’t easy to explain to young children. If you’re looking for a heartfelt and educational way to show a child that life on three legs isn’t the end of fun but just the beginning of important work in this world, pick up a copy of “TJ has a Job!” the new book by Tripawds friend Kim Fraser. We go way back with Kim and TJ, a three-legged hero who didn’t let cancer slow him down. 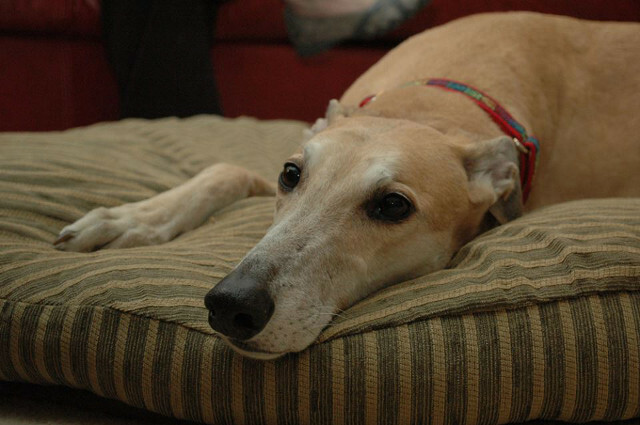 As a retired racing greyhound and therapy dog, TJ beat osteosarcoma for over three years — and touched many lives as a result. 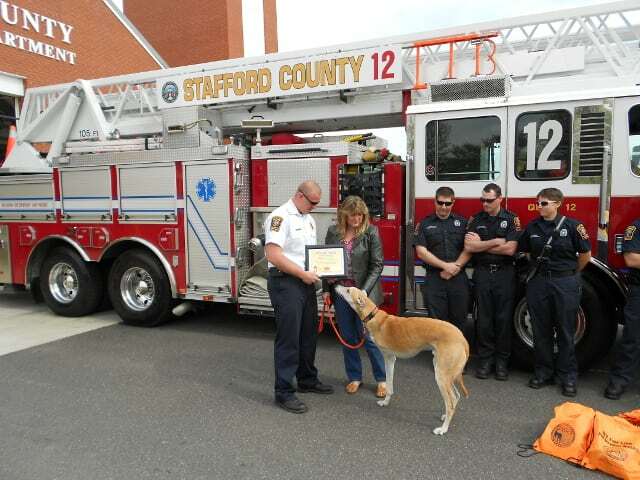 In 2012 we had the honor of meeting TJ when we spoke at the Greyhounds Rock “Take a Bite Out of Canine Cancer” conference in Fredericksburg, Virginia. Yes, he was as sweet as he looked! 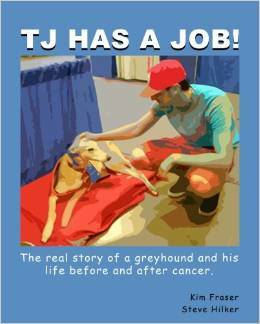 “TJ has a Job!” is the real story of a greyhound’s journey as he discovers his purpose in life. Follow TJ from the race track to his forever home where he learns to be a therapy dog and the challenges of finding his new role post-cancer. TJ gets a big award! This book is dedicated to all cancer survivors (furry or not) who have adapted to their new world and found ways to help those still finding their way. 100% of the proceeds of this book go to Greyhounds Rock Fredericksburg, a pawesome group that raises money for canine cancer research, education, and awareness. Get your copy of TJ has a Job! 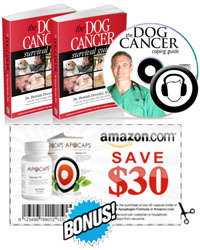 and help fight canine cancer!